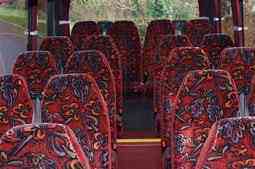 We are the leading bedford minibus hire company, providing transport in and around Bedford. We can save you the time and the hassle of arranging your own transport so you can enjoy your trip. Our minibuses are fully equipped for day trips, night outs, corporate travel, birthday parties or any other travel needs that you may have. 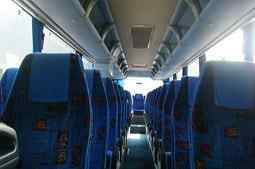 When you make a reservation with us, you will get the best prices but without compromising on quality which is so typical of other minibus operators. Our drivers have the required training and licensing along with great customer service attitude. We want your trip to be trouble free and without any hassles, so we ensure that our minibuses are always in excellent condition, ready to for the next client at short notice. By having all our vehicles in good working order, there are no delays and you reach your destination on schedule and without any breakdowns along the way. Many of our customers, from budget to business class clients, are very happy with our outstanding client service and the excellent condition of our vehicles. We receive ongoing positive client testimonials on our punctuality, customer service and vehicle quality. We strive for customer satisfaction on an ongoing basis and we never take them for granted. Our friendly staff and skilled drivers distinguish us from other minibus firms, which makes us the foremost bedford minibus hire company. Our online quote and booking system makes it easy for you to make a reservation. If you feel more comfortable speaking to our booking staff, please call us and we will set up a travel package to your satisfaction. If you are looking for minibus hire in Bedford for a reliable airport transfer, then we can help you. We track your schedule to ensure we are on time for the pick-up and drop-off. That way you can enjoy your stay in Bedford worry free. Our airport transfers to and from the major airport are competitively priced compared to airport taxis. 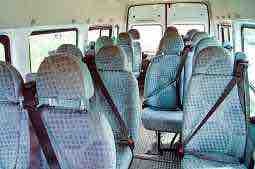 For the very best in bedford minibus hire, then please contact us. We will make sure your trip exciting and memorable. We ensure the minibus you have selected is has gone through the required safety checks and your driver is to your approval. Our minibuses are from well-known brands including Mercedes, Ford Transit and Volvos. Our planning expertise and knowledge of local trends and conditions is second to none. We will gladly advise you on local events and landmarks to make your stay in Bedford exciting and fun filled for you and your family. Bedford has many attractions to offer and events taking place in the next few weeks and into 2016. Take the entire family to the Christmas Tree Festival: The Joy of Music in St Paul’s church. It’s ideal fun for both young and old. The Bedford Arm’s Pub has many jazz musician and bands playing, including saxophonist Alex Hitchcock and popular electric guitarist Michael De Souza. For art enthusiasts, The Higgins Bedford, Castle Lane will exhibit The J.M.W Turner & The Art of Watercolour until Sunday 10th April 2016. The Bedford Proms will be returning again in 2016 and is scheduled to take place on August 6, 2016 – celebrating 20 years of providing music, live acts and fireworks in Bedford Park. Acts taking part include Rebecca Newman, classic Brit award winners, Blake, and the London Gala Orchestra. For beer lovers, there is the Occombe Farm Beer Festival, which takes place on Friday 3rd and Saturday 4th June 2016. Our fleet of vehicles includes Mercedes 16 seater minibuses which are spacious, clean and maintained to the highest standards. It is ideal for small groups going to weddings, nights out, stag parties, hen parties, concerts, festivals, day trips, theme park trips, and trips to the local city centre. We will also drive you safely and in style to events such as seminars, religious functions and funerals. We go out of our way to achieve the comfort and convenience of our passengers. From the time you make a booking until the end of your journey, we are available 24 hours a day to help with any situation that may arise. Our customer support is unmatched due staff and drivers receive intensive training. For professional minibus hire in Bedford give us a call or use our online quote system to reserve your next journey with us.